Author: Malan, Rian Set In . 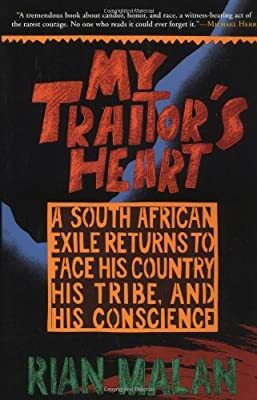 . .
A classic of literary nonfiction, My Traitor's Heart has been acclaimed as a masterpiece by readers around the world. Rian Malan is an Afrikaner, scion of a centuries-old clan and relative of the architect of apartheid, who fled South Africa after coming face-to-face with the atrocities and terrors of an undeclared civil war between the races. This book is the searing account of his return after eight years of uneasy exile. Armed with new insight and clarity, Malan explores apartheid's legacy of hatred and suffering, bearing witness to the extensive physical and emotional damage it has caused to generations of South Africans on both sides of the color line. Plumbing the darkest recesses of the white and black South African psyches, Malan ultimately finds his way toward the light of redemption and healing. My Traitor's Heart is an astonishing book -- beautiful, horrifying, profound, and impossible to put down.